Is your organizational chart bound by the geometry of the piece of paper it is drawn on? Does your school have an org chart? Does it promote connectivity or preserve isolation? Do your employees have allegiance first to their own tribe or to the value-driven goals of the whole school? Are resources distributed within hard boundaries or are those boundaries permeable, allowing resources to flow where they are needed in real time? If at first you think this post is only a tangent to your school’s success, read on! At my first real job out of college, a marine science and engineering company, I was asked to manage a small group of geologists. The company worked on projects, yet all of the reporting was vertical: engineers reported to engineers, geologists to geologists, and so forth. I read a few books on evolving management styles, understood the power of horizontal, project based organizational structures, and wrote a short paper describing the idealized company structure, in my Euclidean-restricted mindset, as a tube, a geometry that maximized collaborative proximity while preserving vertical responsibility. Within the tube I imagined embedded project and client-focused cylinders that would rotate as needed, touching the outer tube of departments. A couple of my elders read the paper, smiled, and we went back to work. Two years later the company had gone bankrupt and I was the last employee. A distributor is a device in the ignition system of an internal combustion engine that routes high voltage from the ignition coil to the spark plugs in the correct firing order. 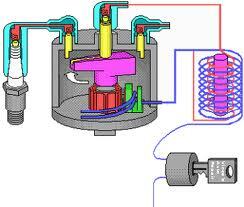 A distributor consists of a rotating arm or rotor inside the distributor cap. The metal part of the rotor arm passes close to (but does not touch) the output contacts that connect via high tension leads to the spark plug of each cylinder. As the rotor spins within the distributor, electrical current is able to jump the small gaps created between the rotor arm and the contacts due to the high voltage created by the ignition coil. I loved this analogy: the rotor constantly delivers voltage (resources, connectivity) to the engine’s spark plugs and cylinders in the correct order needed to make the engine run! It “brushes by but is not connected” to those spark plugs; there is no formal reporting relationship, but one that exists as long as it is needed. The cylinders (departments and divisions) are autonomous, but the rotor, capping the entire assembly, exists to connect, tune, and align voltage to make sure the whole motor runs well. A V-8 sounds horrible if even one cylinder is out of synch with the others. Like most traditional schools, my school was horribly bound by what we now call silos of classroom, department, and administrative function. The Euclidean organization chart (had it existed) amplified these silos, or, in my engine analogy, the individual cylinders. No one other than the head of school had any real responsibility to make the engine run better…just their own cylinder. I floated my idea of the rotor and distributor cap. My elders smiled and we got back to work. But for a decade, I did all I could to be a rotor. I see many forward-leaning schools now adopting elements of what, in the 1980’s and 1990’s, were the foundations of a Silicon Valley-inspired success model of vastly more dynamic, fluid, non-Euclidean organizational structures. They hire people with full time jobs and titles like Chief Innovation Officer to be the school’s rotor. And we are quickly leapfrogging even this more dynamic version of an industrial age model. 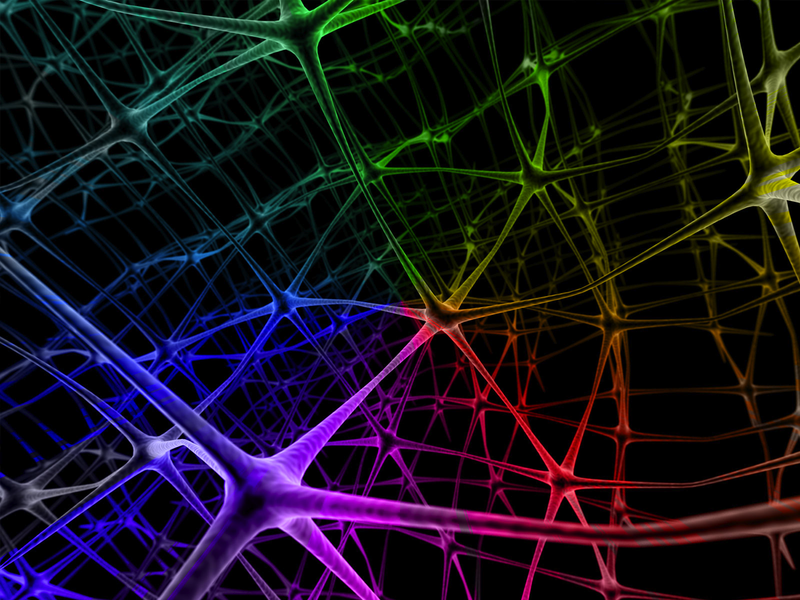 Information age technology allows us to think and work in vastly more distributed networks, the cognitosphere of neural-like connections. Where just over a decade ago the best I could do was to ask the organization to have at least one rotor-like connecting element, now we can ask and expect to have many such connecting elements, people who brush by each other, share or hand off resources and knowledge, not because of their positional authority in the system, but because the situation, the value-driven needs of the organization both require and allow it. So, back to those questions. Do you have an org chart? Does anyone know what it looks like? Does it reflect how your school really works or how you want it to work? Most importantly, is it bound by the geometry of the paper it is drawn on? All schools where I have worked have had an organizational chart that was extremely linear and definitely reiterated the idea of silos, Grant. Many accrediting agencies require that an org chart be provided in school’s accrediting reports (could be an interesting discussion with accrediting organizations such as SAIS, FCIS, and so on). I think most schools don’t even give the org chart a second glace– it is just one of those hoops to jump through and have in your employee handbook. Interestingly, the work I found most fulfilling in these schools was when I collaborated heavily with others– could be administrators who were “lateral” to me in the chart or teachers who were “under” me. I like your thinking in that you are testing us all to figure out how the org chart a) does not communicate the true way we work and b) actually may unintentionally (intentionally in some instances?) define the way we work, hindering different models. Your question resonates– why have it? Not to open the proverbial metaphor can of worms (we all love them! ), but your recent posts about the “Lichter scale” of innovation speak to me here as well. Rather than a linear flow chart or tube, reflecting magnitude visually appeals to me. I see concentric circles in my mind with the learner at the center and everyone connected somehow to each other in such circles– almost like a ripple effect, the tighter the circles are connected and aligned, the greater impact or magnitude of work is achieved. 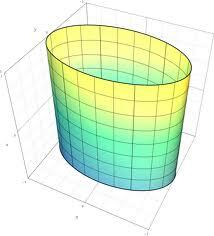 The two-dimensional space is limiting, but that should never stop us from truly digging deep to determine and define (then communicate!) how we work together.